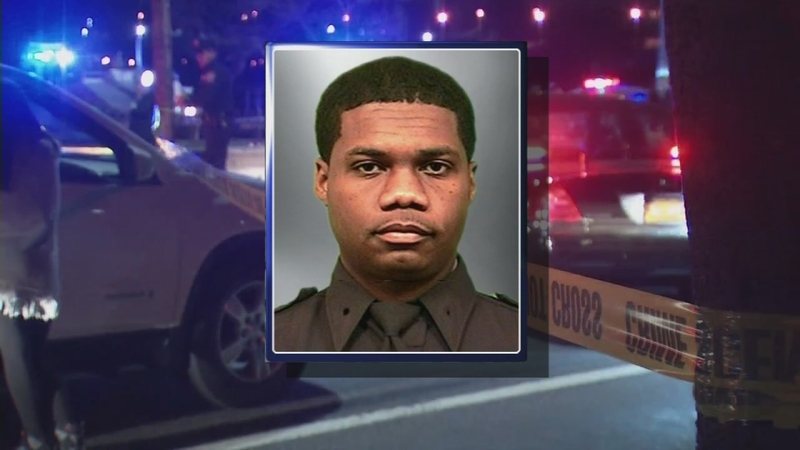 HARLEM (WABC) -- Dozens of alleged gang members are under arrest and facing charges in connection with the shootout that led to the death of NYPD Officer Randolph Holder. Police say 37 suspects from two gangs were taken into custody at three different locations in Harlem and East Harlem Wednesday, as part of the latest gang crackdown, and the charges involve attempted murder, conspiracy, assault and weapons possession. Holder, 33, was killed on October 20 while responding to the call of shots fired. He and his partner had confronted 30-year-old Tyrone Howard, who was not believed to be involved in the initial gunfire. Authorities say Howard, who is charged with first-degree murder, fatally shot Holder. The alleged gang members in these arrests are believed to have been involved in the shootout prior to Officer Holder's murder. "Some of their actions led to the murder of one of our police officers, Detective Holder," NYPD Commissioner William Bratton said. "So this one is particularly gratifying and satisfying to us to be able to bring it to closure, and we fully expect that the District Attorney's Office will be able to prosecute these cases to successful conclusions in court." Bratton says his officers are taking down roughly three to four gangs per week as part of an aggressive approach to curbing crime, and the proof it's working, he says, is in the statistics. Through the first six months of this year, there have been 81 gang-related shootings compared to 158 last year, a decrease of roughly 50 percent. There have also been 11 gang-related murders so far this year, compared to 28 this time last year. That's a decrease of 60 percent. Along with the gang members and drug sellers, 18 customers who were allegedly buying cocaine were also arrested. They include a television producer, a Chipotle executive and a banker nabbed as part of a broad crackdown on a drug delivery service in Manhattan. Three alleged narcotics traffickers were charged with using livery services to deliver cocaine to customers, and among the accused repeat customers of the delivery service are Katie Welnhofer, a producer at Fox Business; Christopher Dodson, a banker at Merrill Lynch; and Mark Crumpacker, Chipotle's chief creative officer. Many of the sales took place in delis or Duane Reade and CVS pharmacies, and customers generally paid between $200 to $300 per transaction. Sales are alleged to have also went down in a variety of bars and clubs on the Lower East Side, the Upper East Side, Chelsea, the Financial District, and Midtown, as well as areas of Brooklyn and Queens.